Nordic friendly blog Cold War Night Life realised a long time ambition at London’s 93 Feet East by bringing over some of the best acts from the Swedish independent music scene to the UK for ‘An Evening with The Swedish Synth’. Headlining were synthpop veterans PAGE, a duo with over seven albums to their name since their self titled debut in 1992. While their final first phase release ‘Helt Nära’ came out in 1998, they reunited in 2010 for their comeback album ‘Nu’. Last year, PAGE released the acclaimed long player ‘Hemma’. Also on the bill were highly rated electro rockers MACHINISTA and the promising TRAIN TO SPAIN. Since LUSTANS LAKEJER had their third album ‘En Plats I Solen’ by JAPAN’s Richard Barbieri in 1982, there has been a spiritual connection between the British and Norse post-new wave music worlds. Sweden in particular has become a haven for electronically driven talent over the last few decades from the industrialised tension of COVENANT and the contemporary pop of ROBYN, right to the uncompromising experimental adventures of THE KNIFE and the enigmatic oddness of IAMAMIWHOAMI. More recently, the statuesque androgyny of KARIN PARK and the Nordic Noir pop of twin sisters SAY LOU LOU have been the next bunch of Swedes knocking on the door. Is it the long winter nights, the melancholic nature of the Svenske psyche or the hopeful sense of melody in the Nordic region’s traditional musical heritage? Whatever, all these elements have combined to develop into an esoteric and mostly accessible art form. Although ‘An Evening with The Swedish Synth’ was primarily aimed at a British audience, a fair number of Swedes and Norwegians were in attendance alongside the locals, with some especially venturing over for the occasion, such is the regard with which PAGE are held back home. With the added cocktail of that Scandinavian sense of enjoyment and their insatiable appetite for liquid refreshment, it was a fun, good natured evening that captured the spirit of how great music can unite people. Opening the evening were TRAIN TO SPAIN, a girl / boy pairing of Helena Wigeborg on vocals and Jonas Rasmussen on synths. Named after a lyric from THE HUMAN LEAGUE’s ‘The Things That Dreams Are Made Of’, appropriately they showcased an uptempo style of energetic pop with a metronomic rhythm structure akin to the ‘Philip Oakey & Giorgio Moroder’ album on songs like the crashing ‘BlipBop’. Their best song so far ‘Passion’ stood out like it was a number YAZOO might have done if they were fronted by LANA DEL REY while their set closer ‘All About’ provided a suitable variation on the theme. Occasionally Helena’s nerves got the better of her as she missed a few cues but otherwise, she warmed the audience with a coy but lively stage presence. And with the confirmation that a deal had been struck with UK label Juggernaut Music Group at the end of the evening, it all turned out rather nicely for TRAIN TO SPAIN. With leather bomber jackets in abundance, new label mates MACHINISTA followed with their self-confessed take on synthpop with a rock ‘n’ roll edge. Like THE CURE gone fully electronic, some of the material from their debut EP ‘Arizona Lights’ came over like a harder edged ALPHAVILLE as with the excellent title track. Visually, lead vocalist Jon Lindqwister and instrumental partner Richard Flow had the manner of SUICIDE, if Messrs Vega and Rev had been brought up in Malmӧ instead of New York. Their cover of DAVID BOWIE’s ‘Heroes’ got the crowd singing along while the swagger of ‘Pushing the Angels Astray’ propelled the set along with a healthy schaffel edge. Towards the close on ‘Salvation’ and ‘Molecules & Carbon’, a number of the Scandinavians present even opted for some mild euphoric moshing. With great new material such as ‘Summersault’ also in their set, MACHINISTA’s debut full length album promises to be a good one. For PAGE, ‘An Evening with The Swedish Synth’ was their first live sojourn outside of their own country and they delivered on the evening’s title. Not only was there synths with Eddie Bengtsson on a DS Mopho and Marina Schiptjenko on a MicroKorg, but there was Swedish too. With his frank and sometime snarling vocal in his mother tongue, Bengtsson’s vocals crossed borders as he vented his spleen with thoughts on love, lust and midlife matters such as music and motorcycles! While Marina happily smiled handling her synth duties, Eddie remained animated and intense. Indeed, it was a perfect combination and a Google translator was not really required from the opening song and ‘Nu’ highlight ‘Kom Så Andas Vi (Come as We Breathe)’ to the final number, 1983 debut single ‘Dansande Man (Dancing Man)’. The duo even threw in a Swedish translation of GARY NUMAN’s ‘Tracks’ into the mix as glamourous young ladies new to electro and stocky males of hairstyle vintages ranging from Mohicans to Phil Oakey lopsides mingled with luminaries from the UK’s domestic synth scene such as VILE ELECTRODES, SPEAK & SPELL and DJs from London club nights such as Electric Dreams and Bedsitland. Highlights of PAGE’s set included classic synthpop like ‘Inget Mer Att Se (Nothing More To See)’ and the more glam laden ‘Ett SOS’. But it was the penultimate number ‘Lyssnade På Min Radio’ (Listening To My Radio)’ sung specially in English that stole the show. Focussing on the awfulness of modern radio shows, Eddie exclaimed “they don’t play good songs on the radio anymore… like Depeche Mode!”; it was all highly fitting with the Clarkean spirit deep inside the song’s genetic make-up! 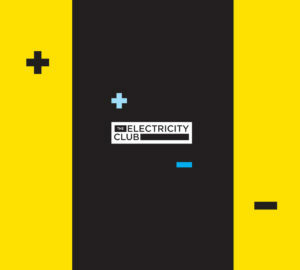 Pre-show, Eddie Bengtsson had told to The Electricity Club that synthpop was slowly becoming a dying art so bands and blogs such as Cold War Night Life and The Electricity Club needed to “stick together”. In fact, Bengtsson revealed he already had much in common with TEC in his interview when he said: “The best group emerged in the 21st century is MIRRORS, a wonderful act, a group that has now sadly split. What they did was perfect”… see, it’s not just us! With the ensuing cultural exchange, ‘An Evening With The Swedish Synth’ certainly highlighted to the discerning British synthpop fan that there are indeed further electronic worlds worth exploring and embracing. With its warm, party atmosphere where distant musical cousins mixed, ‘An Evening with The Swedish Synth’ was like a united international conglomerate with egos left at the door; everyone was aware of their standing to ensure a fully integrated homogenous bill.